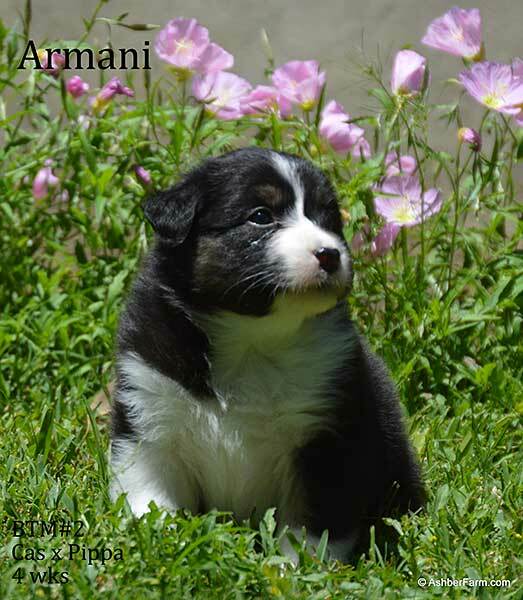 AKC/ASCA registered Australian Shepherds. Where form meets function. We strive for quality and not quantity. Beauty, Brains, Health and lovely temperaments. 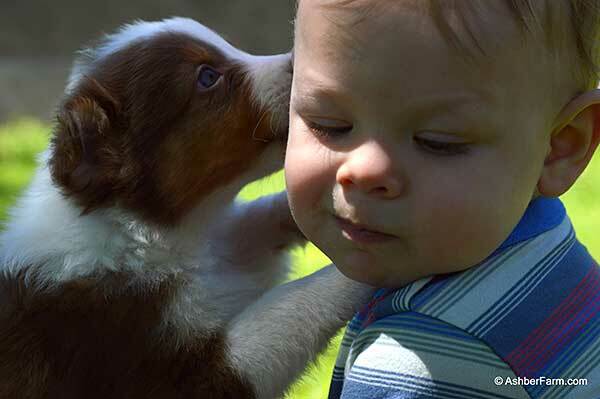 Our puppies are raised as loving family members with kids and other dogs. All our pups come from outstanding pedigrees from great parents. We strive to heath test sires and dams for genetic issues. Breeding quality dogs since 2004. I am a small hobby breeder in Austin, TX. My puppies are raised in my home and are exposed to environmental stimuli in an effort to ensure successful integration into their new homes. I strive to place all of my puppies in responsible, loving homes that are dedicated to their well-being. I will take back any dog that can no longer stay with their adoptive family at any time for any reason. My puppies are sold with a health guarantee. Puppies placed in pet and/or performance homes are sold with limited registration and spay/neuter agreements. All dams and sires of the litters I produce have had their hips and elbow x-rays evaluated and certified by the Orthopedic Foundation for Animals (OFA). Their eyes are also cleared annually upon examination by canine ophthalmologists with the results maintained and published by OFA. 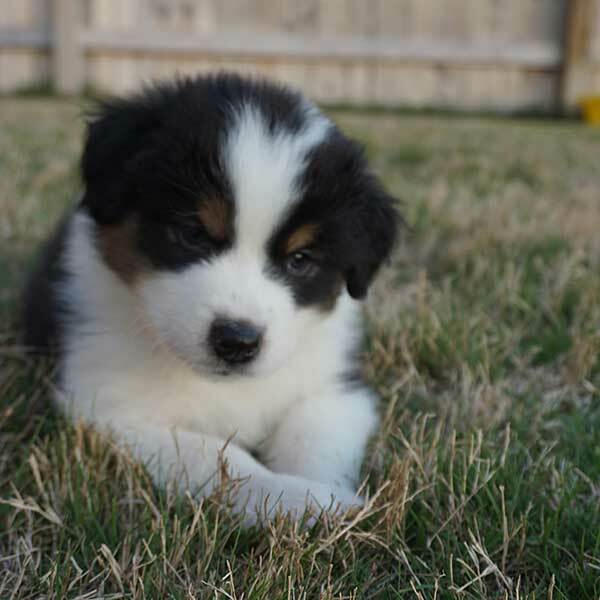 My puppies will be registered with both AKC and ASCA (Australian Shepherd Club of America). The puppies in this litter are from AKC Champions of record with impeccable pedigrees. 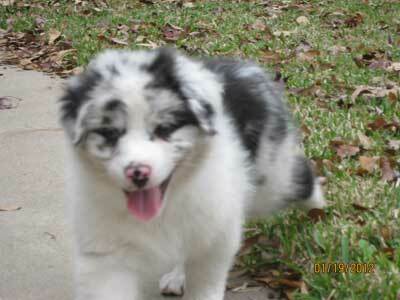 We have two blue merle females, one blue merle male, and five black tri males. 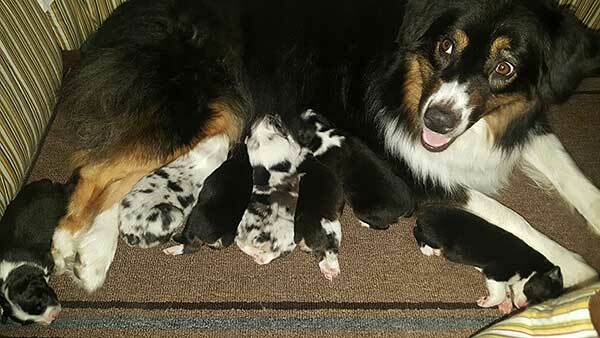 Reservations are currently being accepted for puppies from this litter. 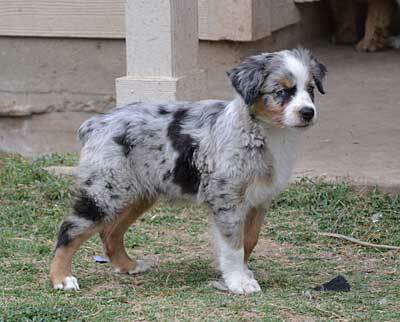 Blackburn Keep's Australian Shepherds is a small breeder located in Lubbock, Texas. 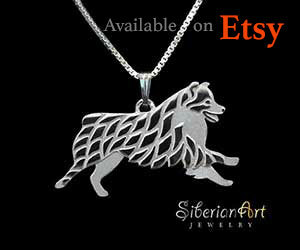 We love this multifaceted breed and have enjoyed that they have been part of our family for over twenty-five years. They are highly intelligent, readily trainable, have a desire to please and possess tremendous stamina for chasing a tennis ball or being a running buddy. Our purpose in breeding these beautiful animals is to produce quality dogs in accordance with the breed standard that are healthy and have excellent temperaments and conformation. We raise our puppies in our home under constant supervision.The puppies receive age appropriate socialization with children of various ages, cats and other dogs. We are excited to use the Puppy Culture program in the rearing of our litters. Three beautiful black tri females left. Intelligent, wonderful dispositions. Ready for their new homes. Have stud service available. Check out web site www.bondsaussies.com for certification and picture of stud. 281-435-4563. 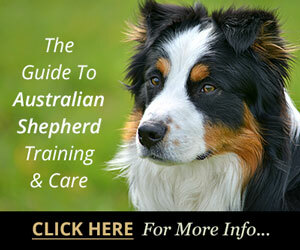 AKC & ASCA Australian Shepherds, Stud Dogs and Puppies, all health checks done. 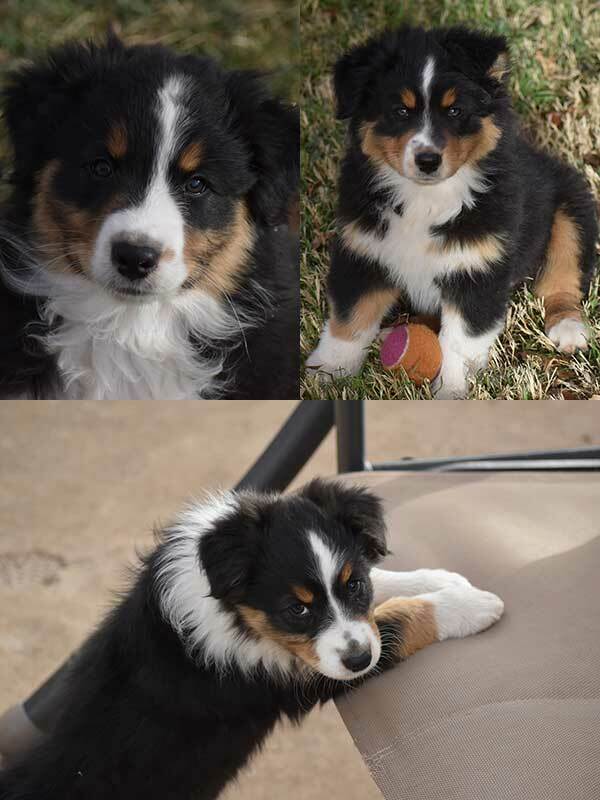 We are a new breeder of Australian Shepherds but we have learned a lot while our puppies are growing. All are CKC registered and veterinarian certified healthy. We treat our dogs like part of the family hence, they are all inside dogs. Litter planned for the end of the year 2018. AKC Breeder Of Merit. 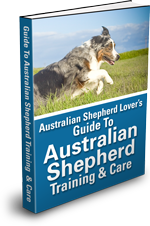 AKC/ASCA registered Aussies for show, performance and companion. All dogs are titled and DNA tested prior to breeding. Hips and elbows evaluated and yes cleared yearly. 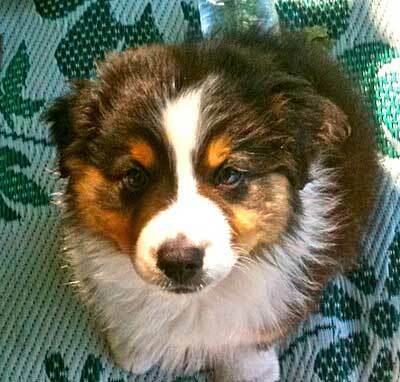 My goal is to breed healthy Aussies with great temperaments that meet the breed standard. All my dogs live in the house as family pets. 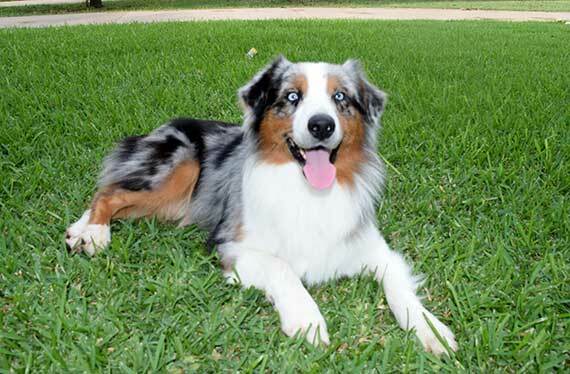 Quality large standard AKC Australian Shepherds. Raised on a ranch around horses, cows, tractors and children. They love the water. Gentle and Smart. Sire is 65lb and nice blocky head. All pups come with AKC and ASCA registration . 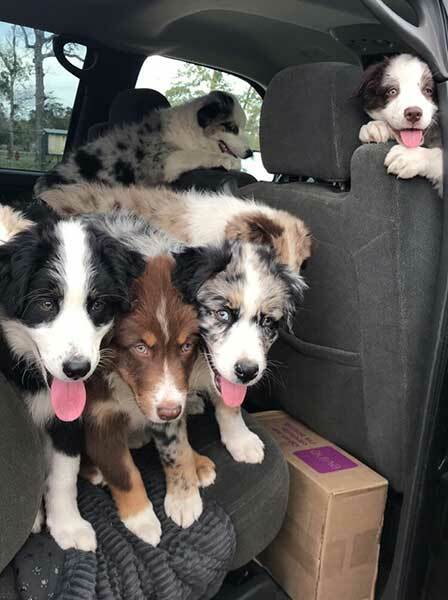 Parents are DNA Profiled Verified Parentage with ASCA (Australian Shepherd Club Of America and health checked through Paw Print Genetics to ensure top of the line puppies.All puppies will be vet checked, current on shots and de-worming before going to new homes. Tails docked (if needed) and dewclaws removed. 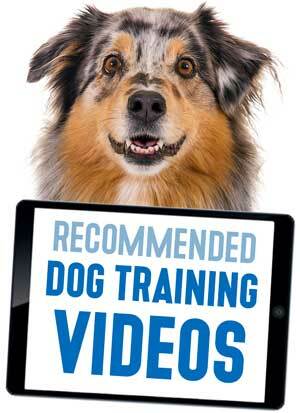 They come with their AKC and ASCA registration applications, pedigree, health records. Pet/ companion puppies are sold with limited registration, which means no breeding rights. Breeding/show prospects are sold with full rights on contract. The cost of shipping is $400 for one puppy or we can ship two puppies together for $500 preferably 8-12 weeks of age. Puppies must be 8 weeks old to ship per airline regulations. Older puppies and adults will cost more due to weight.The shipping charge covers the cost of the crate with all required labeling, food/water dishes, vet visit, health papers, airfare, and transportation costs to and from the vet and to the airport. Pedigree And Health reports available to be viewed on our website (find links on each parent page). Facebook link. We are located Midlothian, Tx in the Dallas/Fort Worth area. 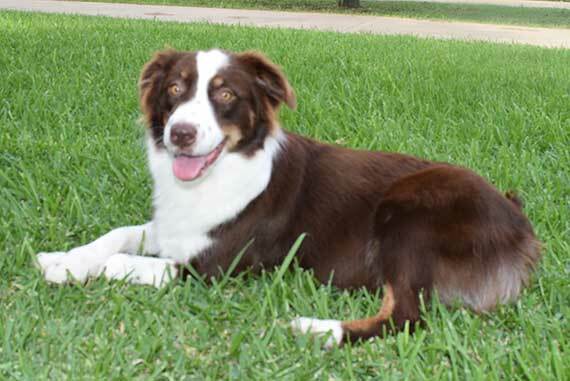 AKC-ASCA Registered Australian Shepherd for Work, Show, and Play. Health Guaranteed. Breeding Soundness of Mind N' Body. We selectively breed for dogs that can be competitive in all venues conformation, agility, herding, and obedience and still be a great companion dog! We're pleased to welcome you here and are very proud of all our animals. We welcome your questions. Mi Luna Kennels goal is to produce quality puppies. Our dogs are health tested, dual registered with AKC/ASCA and are an extension of our family, not just pets. We strive to place the right puppies with the right owner. Our relationship does not end with the sale as we love to receive status updates and answer any questions that may arise after placement. My husband and I have been breeding puppies for about eight (8) years. 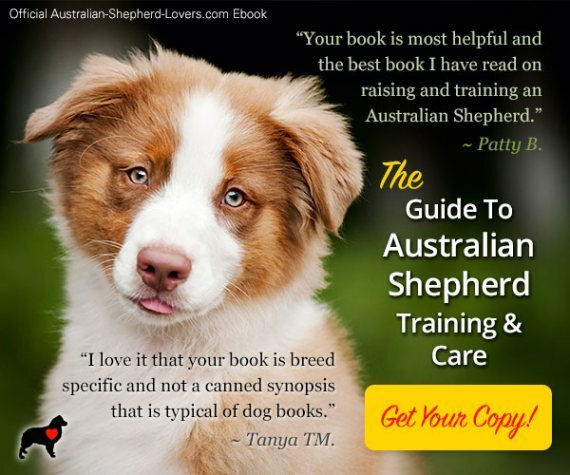 We both have learned so much and enjoy everything involved with the raising of Australian Shepherd puppies for other people to share in the joy of being a Aussie lover. We have sixteen puppies available pet only NO BREEDING RIGHTS. They are registered ASDR and eight are ASDR and AKC. They are $400.00 each. We have a blue merle - female, two red merles - male, one red merle - female, two black tris and two dark red tris - one male one female. They are registered ASDR. The other litter has one red merle - female, one uniquely marked red merle - male six red merles - four males and two females. 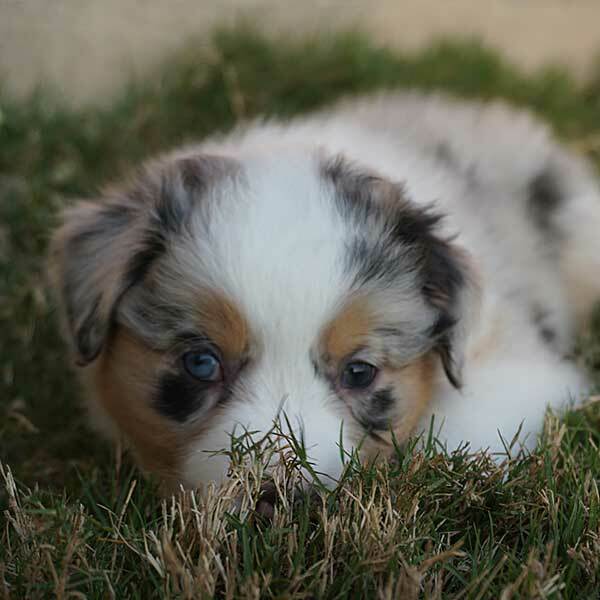 Platinum Australian Shepherds takes pride in raising puppies for you! They are raised in a family environment and are well adjusted to life going on around them. AKC full registration! These puppies are beautiful, smart, loving and well adjusted. You won't be disappointed! Redbrook Kennel, Breeder Of Merit, AKC. I sometimes have older dogs for sale and only one litter a year. 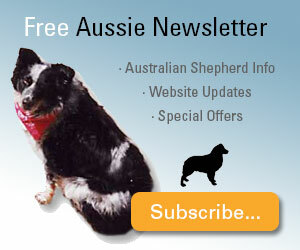 Working Australian Shepherds since 1963. Breeding for the same kind of devoted companion dogs who excel as cattle dogs that we began with. Check out our website for a lot of history! 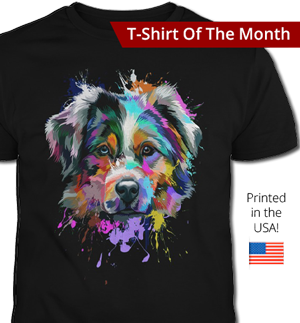 We have an undying love for Australian Shepherds and will always strive to stay true to the Breeding Standard. We carefully interview potential families before accepting any deposits. 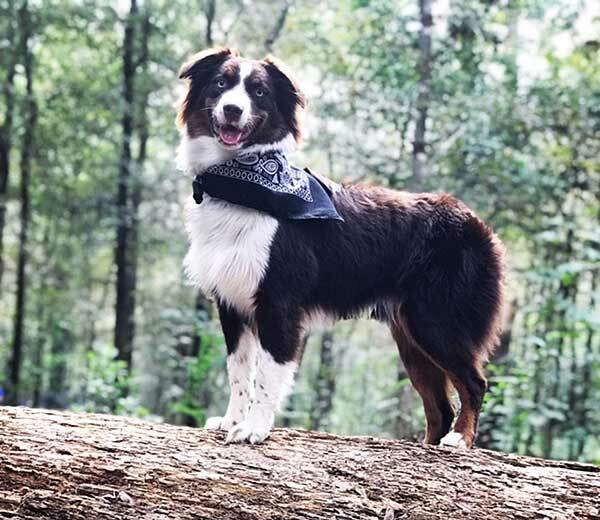 Our mission is to produce Australian Shepherds that have the patience, loyalty, and well tempered personalities that made us fall in love with the breed to begin with. Our dogs are health tested and AKC Registered. Our wait-list is usually full by the time our litter is born or up to 2 weeks old. We have 1-2 litters a year. 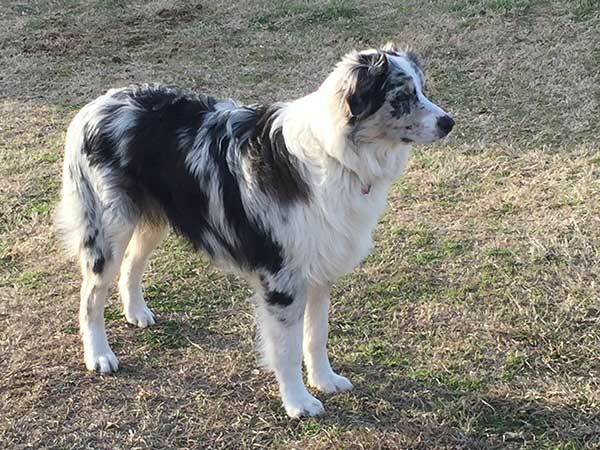 The Bar-Double Horseshoe Ranch has been breeding one of the finest lines of Australian Shepherds in the North East Texas area for well over Twelve Years. Both Sire and Dame are owned by Frank and Carron Prigmore of Campbell, Tx. 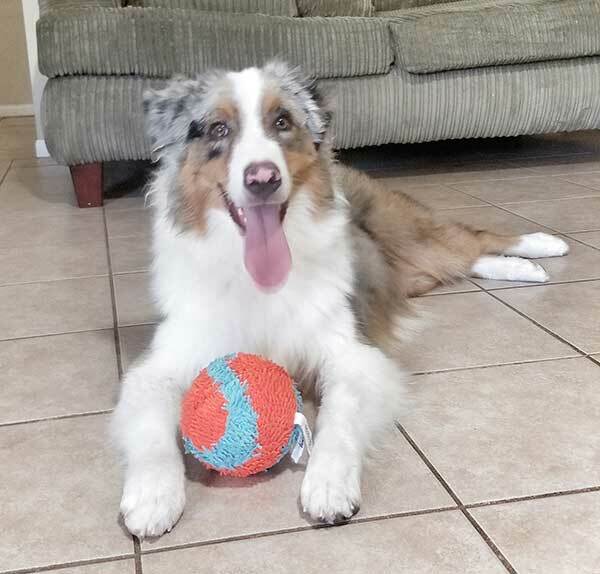 Circle C Aussies is a farm-based small breeder near the Houston area that raises versatile Australian Shepherds for Blood Trailing, Stock Work, Agility, and Fly Ball, with an emphasis on temperament and soundness. Three or more generations on site for you to interact with. Performance or working homes are a must, and pups are only occasionally available. 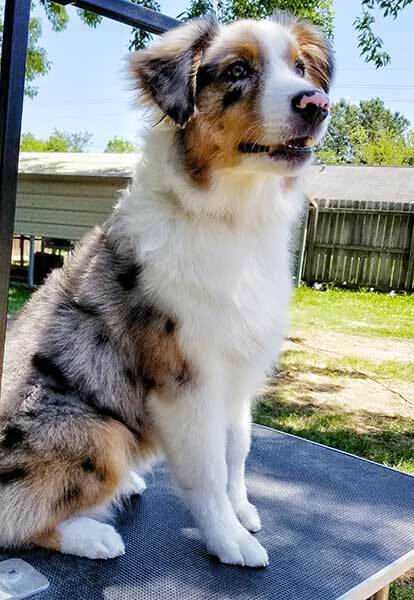 When we don't have any pups available, we still welcome visitors to the farm to interact with the dogs and get to know the Australian Shepherd. We are a very small hobby breeder. Here at Dovehawk we do what we feel is right for the breed. We have very high standards for any of our dogs going into our breeding program. We truly enjoy our dogs as pets first, competitors second. 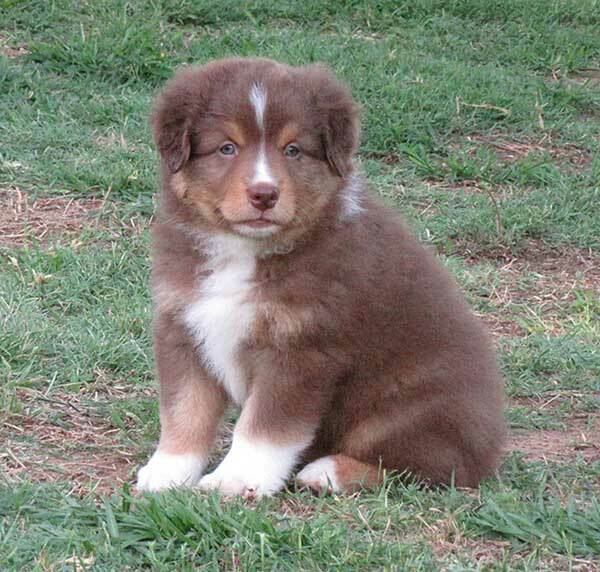 Australian Shepherds since 60's. CH males and CH lines. Health testing done on all parents. Health guarantee on all pups. AKC and ASCA registered. 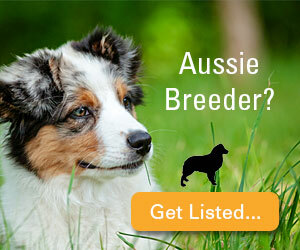 Since 1980 we have been bred for Aussies sound in mind and body. We compete in many venues including schutzhund, obedience, tracking, herding, conformation, frisbee and dock diving. Our pups are also in Germany, Switzerland and Israel. We strive to produce excellent Aussies. Family dogs and working dogs. We are a very small Kennel. Our dogs live in our home and are very much a part of our lives. Cedar Hill is a small hobby kennel located in beautiful East Texas on 6 acres. We breed for a complete Aussie that can compete in all venues. 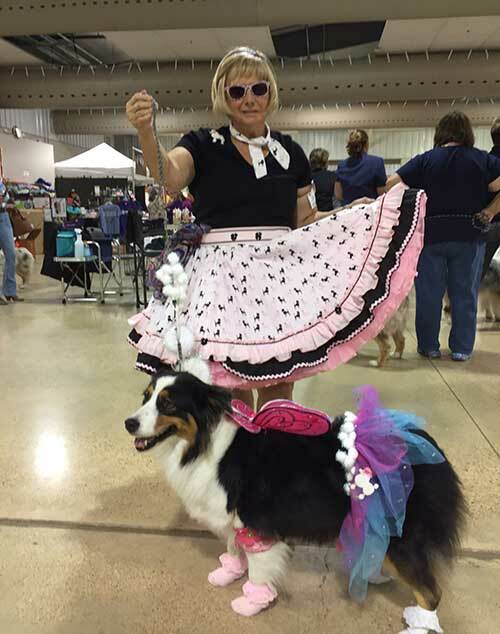 We compete in conformation and our "Show dogs" are also our pets, so eager to please dogs with great temperaments and calm spirits is something we strive for. 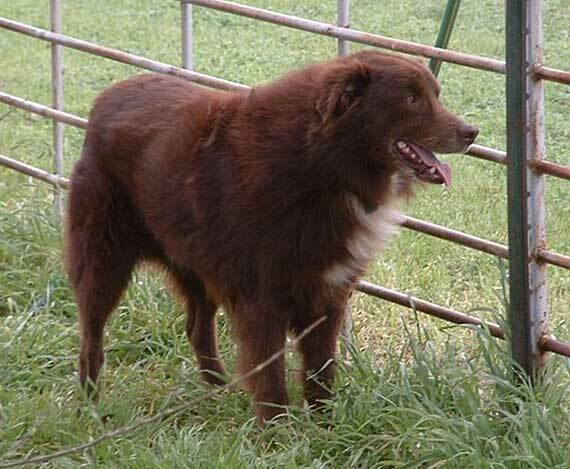 We breed dogs to work livestock, from generations of proven dogs. We focus on sound mentally and physically fit athletes that will head and heel cattle. Bred to work, proven and Guaranteed. Thanks for visiting, Jamie. Registered, proven stockdogs, 28 years experience. We have been raising Aussies since 1979. We breed versatile Aussies with one thing in mind: A Sound Mind, Body, & Ability to perform in the venue that they are best suited for. Either: Conformation, Herding, Rally, Obedience, Agility, or Couch Potato. See our Website and learn more about us! www.jbkworldchampions.com jbkaussies@yahoo.com JBK Me & My Gang! We have been raising Aussies for the past 12 years. Several generations on the proptery. :-) No eye or hip problems; All parents are DNA cerified. ASCA Hall Of Fame Kennel established in 1974. 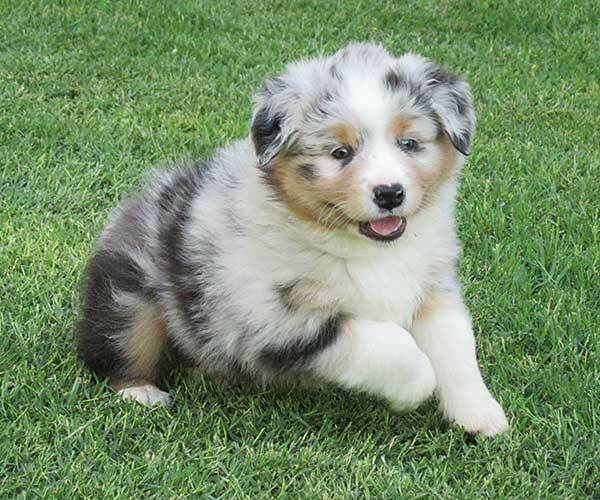 Breeder of quality aussie puppies able to compete in all venues. Sound of mind and structure. DNA, OFA, and EYE CLEARED parents. Free of the HSF4 Cataract gene and MDR 1 gene mutation. DNA Certified AKC and ASCA Registered parents. Puppies eye cleared and health guaranteed before going home. 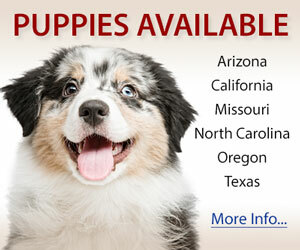 Companion puppies come with spay/neuter registration. Good temperaments are so important in our breed and we strive to place the right puppy in the right home! Breeding AKC & ASCA Quality with Great Temperments since 1984. Rainyday is a small, highly competitive kennel focusing on breeding the truly versatile Aussie. We are USASA Hall of Fame breeders and are also a Hall of Fame kennel in ASCA. Breeders of multiple BIS winners as well as dogs with advanced titles in obedience, agility, herding and flyball. AKC/ASCA registered. OFA/CERF certified. We only have 1-2 litters per year. Genetic health Guaranteed. References available. 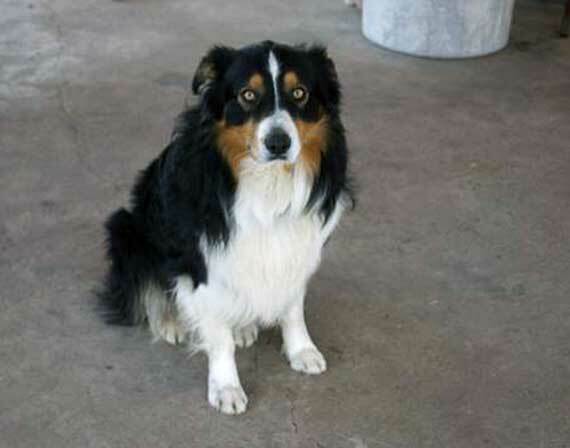 WhisperWind is a small kennel located in Houston, Texas. 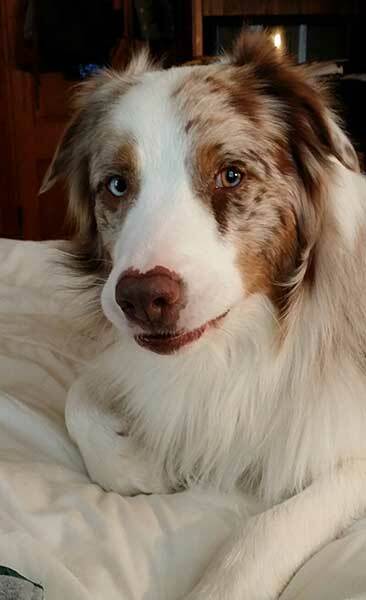 At WhisperWind we strive to produce a versatile Australian Shepherd who is structurally and mentally sound. 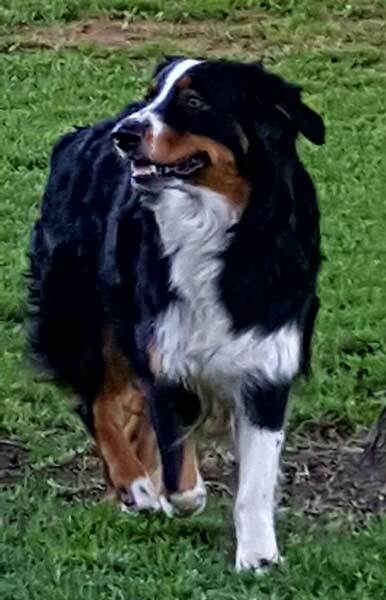 We selectively breed to produce dogs that can be competitive in all venues conformation, agility, herding, and as well as be a great loving companion!